In a highly collaborative effort between Kavanaugh and Lee, the look married Lee’s highly distinctive utilitarian aesthetic and signature detailing and the androgynous mood with a subtle nod to the early nineties. Kavanaugh discussed the creative process behind creating the hair look to be showcased at this year’s fashion week. As showcased at various shows that Fashion Month, it was noted that there were an emphasis on several hair looks rather than one uniform style. The look plays into androgynous, athletic vibe with the look kept compact and tight to the head without having to distract from the look. The arresting ponytail was created with star Redken products including Guts10 Volume Spray Foam, Diamond Oil Shatterproof Shine and the new Triple Take 32 Extreme High-Hold Hairspray, which has not been released yet. With MBFWA just over a month away Dion Lee naturally could not give too much away about the collection. It was noted that it was a ‘work in progress’. The dress showcased with the hair look was a small taste of the collection. It featured a minimalist take on the current lace up trend, which was the starting point for some of the key pieces from the collection. “We have taken something that is decorative and made it more functional in an athletic way but the collection is quite minimal. It’s an early nineties masculinity that runs through the collection as well,” Dion Lee discussed during this intimate style session. 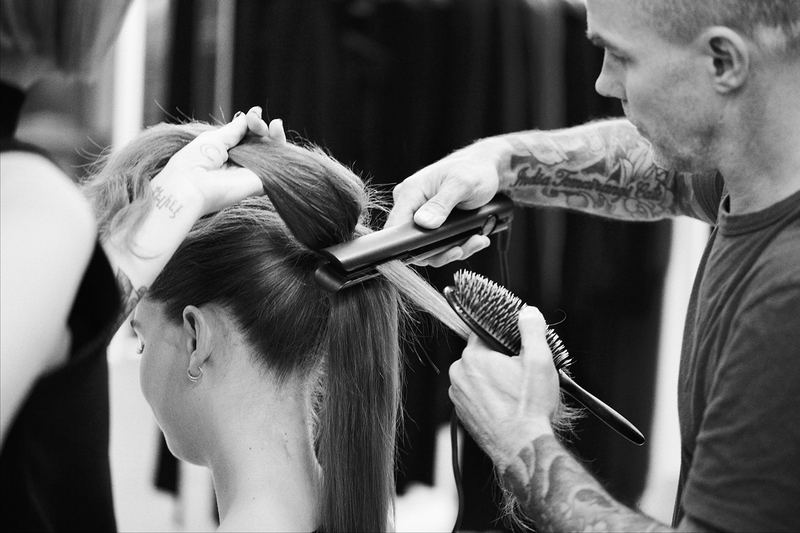 Redken enters its ninth consecutive year in 2016 as the Official Hair Partner of MBFWA with a team of revered Hair Directors and over sixty dedicated backstage session stylists. Dion Lee will showcase his Resort 2016 collection next month at MBFWA.